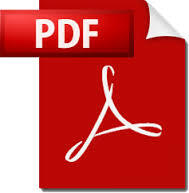 Download this page in PDF format. Q) What are your hopes, dream and target this SEA Games? To better my PB timing. Q) How’s your preparation for the SEA Games? Training last month has been hampered due to a strained hamstring sustained during the 4×100 relay race at the Sydney Open in March. Recovering well and is training diligently to prepare for the SEA Games. 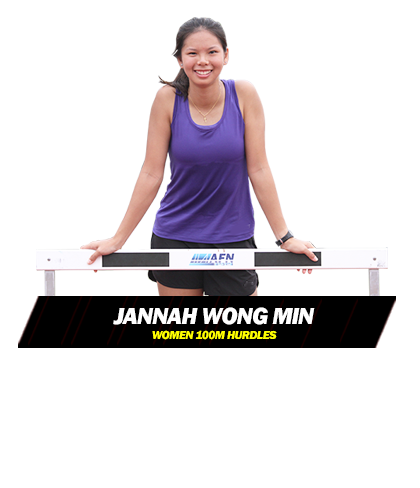 Q) What are some of the biggest challenges in your sports career so far leading to SEA Games and your athletics career? Injuries and balancing studies. Injuries causing interruptions in training and not being able to compete can be both frustrating and upsetting; e.g. the Singapore Open held last month. Q) How did you specialise in your particular event? Why this event, what’s the attraction? Not sure what’s the attraction but I suppose it’s a gift and an event that I truly enjoy. I started participating in Inter-School National Primary meet when I was in P3 competing in Long Jump and High Jump. Mr Lim, my primary school coach who saw a potential in me doing hurdles decided to switch my high jump event to hurdles when I was in P6. That decision was proven right when I broke the school record for the 80m hurdles that year. Q) Who is your coach, tell us more about him/her. Also a mention of your previous coaches. My current coach is Mr Melvin Tan. He helped me balance my studies and training when I was in Raffles JC, especially during the times when I had an exam and a major competition at the same time. He is not only a coach but also a friend that we can talk to and even joke around with. He is very dedicated in training his athletes too. The late Mr Lim Tiang Quee was the root of my running career. He was my coach during my primary and secondary school days. I learned a lot from him during my 8 years with him; and apart from training, he always emphasized on the importance of good character development. Mr Lim always has high hopes of me breaking the National Record (which I did last year at the Asian Junior, just 2 days before he left us) and qualifying for major competition like coming SEA Games. And Mr Linus Lee who helped Mr Lim during his training sessions. Q) Do you take care of your nutrition and diet? Your opinion on supplements and food. My mum takes cares of my nutrition and diet. A well-balanced diet is important. Supplement is intended to provide nutrients that may otherwise not be consumed in sufficient quantities. Q) Aside from athletics, what else interest you? You could say the other part of your life beyond athletics. Q) How do you fit in your training/competing with your family and studies/work? During my school days, balancing between training/competition with studies is a challenge. But knowing your priority and what you wished to achieved can help you with this challenge. Dinner with family at least once a week is a routine set. Q) Share with the readers, some aspects of your training regime. I had about 3 weeks of conditioning and now, it focuses on preparing for my hurdles event. It consists of about 2-3 sessions of hurdles, 1-2 strength and core session, 1-2 endurance session and 1 active recovery session. Q) What are your long term athletics goals? To be able to continue competing for my country and doing her proud. Q) What advice do you have for young aspiring athletes? Enjoy what you are pursuing and work towards achieving your goals with determination and building good character. Winning feels good, but our character on and off track reflects who we really are. Champions are not defined by their scores, but by their character.